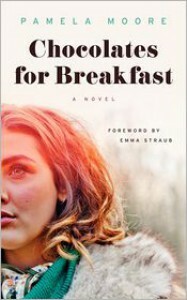 Considered America’s answer to the French sensation BONJOUR TRISTESSE (also published by Harper Perennial), CHOCOLATES FOR BREAKFAST follows Courtney Farrell, a classic disaffected, sexually precocious fifteen year old. Courtney splits her time between Manhattan, where her father works in publishing, and Los Angeles, where her mother is an aging actress. This wild coming-of-age story, scandalous in its day, is also the story of Courtney’s close and ultimately tragic friendship with her boarding school roommate Janet Parker. Pamela Moore, who went on to publish four other novels, committed suicide in 1964 when she was twenty-six. 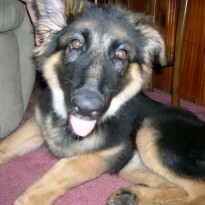 Her son, Kevin Kanarek, is in charge of the estate. Eager to see this book come back into print, he sought advice from his former French and Latin student, the writer Emma Straub, who put him in touch with her agent Jenni Ferrari-Adler, who was immediately captivated by the novel, as was the Harper Perennial team. I'm not sure what to think of this book. I didn't particularly like it, nor did I dislike it. Thinking back, it almost reminds me of a female version of The Catcher in the Rye, but it might just be due to the setting and protagonists that are of similar age and backgrounds. It's a good coming of age novel, or would be appealing to one who is interested in the 1950's.